Note: While this review will be spoiler free, it does make reference to previous books. If you haven’t started this series yet, check out VBC’s review of book 1, Skinwalker. Jane and the Yellowrock Securities team have been preparing for months for the Vampire-Witch Conclave in New Orleans. On the eve of the summit, Jane’s house is attacked by a strange magic wave. The search for its source leads to a master vampire, long thought dead, starving and buried in the bayou. That disappearance was just the first step in a scheme that’s been underway for years and is about to put a serious kink in Jane’s plans. 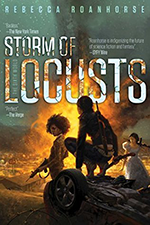 Something that the Jane Yellowrock series seems to do more than any other I’ve read (with the possible exception of the Dresden Files) is bring back characters and events from much earlier books. The spells cast by the vampire-witch cult in Dark Arts and the day Gee di Mercy healed Jane from werewolf bites in Mercy Blade both affect Jane in Shadow Rites. Jane even recounts her adventures in Skinwalker to the rescued vampire, who disappeared just before that first book took place. Those events actually play a big role in the current story. 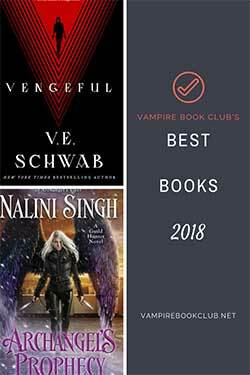 I enjoyed the opportunity to relive some of those earlier books, but it also emphasizes the fact that these supernatural creatures really are playing a long game. 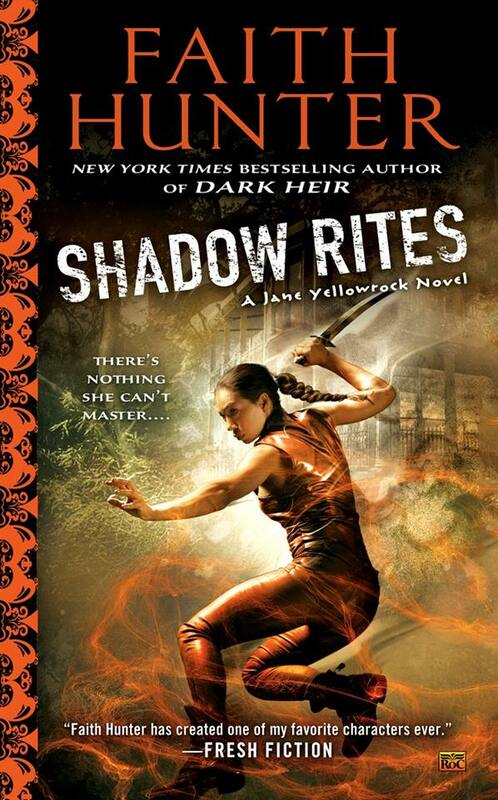 The one thing that bothered me about Shadow Rites is that too much magical, metaphorical action takes place inside Jane’s soul home, especially in the first half of the book. But lots of Jane and Bruiser time in the second half makes up for some of that. I also liked getting to learn more about Edmond Hartley, including finally finding out why he’s so attached to Jane. In this tenth book in the series, Jane seems to be moving toward her Happily Ever After. Or possibly toward the catastrophe that blows it all to hell. I love Jane Yellowrock! I got my copy today, but I haven’t started reading it yet.